Norse Calendar is a powerful communication tool for students, faculty and staff. 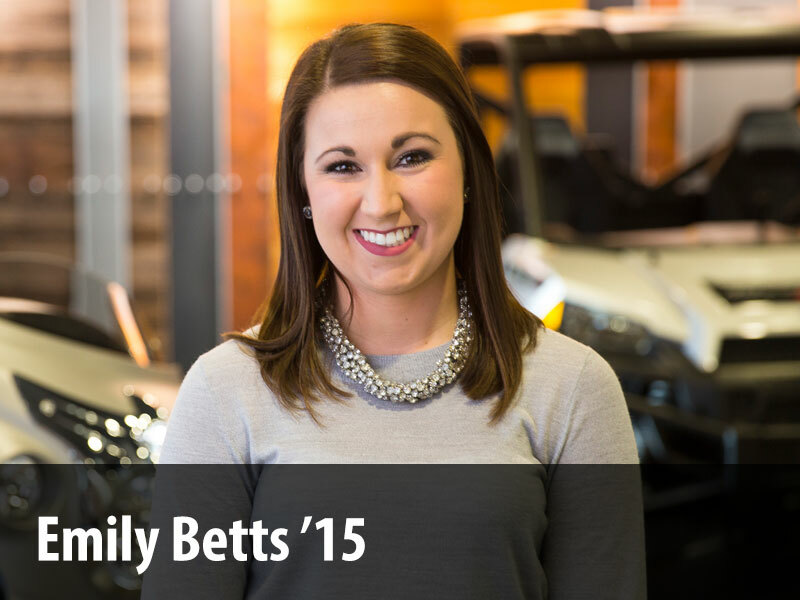 It allows you to create events, manage your time and share your schedule with other members of the Luther community. With Norse Calendar, you can also share your calendar with those outside the Luther community if you wish. In addition, you can view calendars maintained by others such as US Holidays, public school calendars, and the phases of the moon. The Norse Calendar is the primary campus calendar as of January 1, 2009. If you already have a Norse Apps account, you can access Norse Calendar by going directly to http://calendar.luther.edu. You can also access it by starting in Norse Mail and clicking the Calendar link in the top left corner of the page. A third option is to use Norse Calendar directly on the Norse Start Page, http://start.luther.edu, by selecting Google Calendar. There are several ways in which to create events on your calendar. The following three will be described below: Click and Type, Create Event, and Quick Add. Put your mouse over the time you would like the meeting to start. Left click your mouse and hold and drag to the desired stop time. The following window will pop up for you to fill in the event name. Click Create Event and you are done! Click the Create Event button located in the top left corner of the page. The following screen pops up for you to fill in the details of the event. You can fill in as much, or little, of the event information as you want. If you do not enter any detailed information, a one hour meeting starting at the next half hour interval on the current date will be created. Click the Quick add button found in the top left corner of the page. In the box provided, enter the “what” and “when” details of the event, such as “Meeting with Samantha at 10am Friday”. A one hour meeting will be created on that day at that time. Click the Add button to add the event. You can enter all of the information for an event when the event is created, and you can go back later to add more details or change some of the event information. 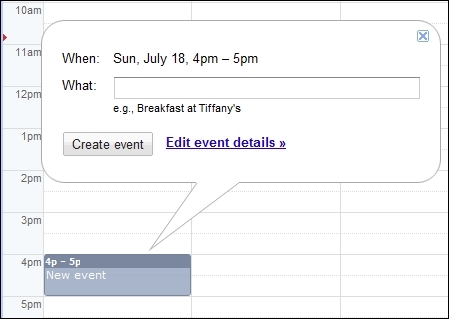 To edit an event, you can either click in the darker, top bar of the event and then select edit event, or you can click on the event name link. If you want to put in an event that repeats itself, such as a class, you can simply create one event that will repeat itself for a given time period. Under the Repeats drop down box select which repeating option you want. The information under the Repeats box will change based on the frequency you select. Enter the information that’s requested. For all repeating events, if you only want the event to go to a certain date select Ends On and enter the ending date for the repeating event. If this is the last change to the event, click the Done button. 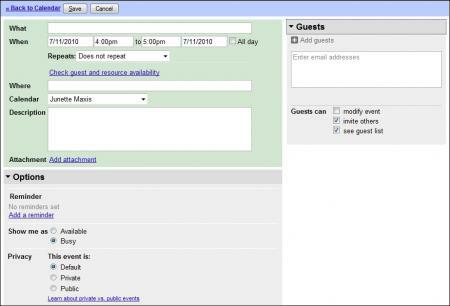 Under Guests, which is located on the right side of the screen, click Add Guests, then type your guests’ names in the text box that appears. As you type, matches with your contacts will be listed for you to select. Identify whether your guests can modify the event, invite others to the meeting or see the guest list by checking the appropriate boxes. If this is the last change to the event, click the Save button. When you do save the event after adding guests, you will be asked whether or not to send an invitation to the guests. For each event, you can indicate how you would like to be reminded of the event. You can have as many reminders as you want for each event. To add another reminder, simply repeat these steps. Select from the Reminders drop down menu or click the Add a reminder button. Select the method how you want to be notified. You can choose between Email and Pop-up. Next choose how long before the event you want to be notified (i.e. minutes, hours, days, weeks). If this is the last change to the event, click the Save button. The difference between making an event Public and Private is that a public event is an event that, by default, everyone can see and a private event is one that only you can see. To change this setting, select the option that you want for the event. There is also the default option where your event’s privacy setting will take the default privacy setting of your calendar. If your calendar is private you event will also be private. The same concept applies to public calendar. You can move around your Norse Calendar using the navigation on the top left of the page, and the views shown on the top right side of the page. The calendar on the left side of the page shows what is displayed on your calendar page. Calendar – By clicking on a particular day on the calendar, your Norse Calendar will change to focus on that day. You can click on the month and year (e.g. March 2008) to change to the month view. Also, by using the forward and backward arrows, you can move from one month to the next. Icons – The Today button will reset the focus back to the current date. There are forward (>) and backward (<) arrows to the right of this button to move you around. Views – The tabs on the top right corner of the page show different views of your calendar. They include Day, Week, Month, custom view, and Agenda. To change your custom view, go to Calendar settings, select from the custom view pick list, and then click save. If you’re working with students or your colleagues and you want them to know when you’re available to be contacted, sharing your Norse Calendar would help them contact you more easily. With Norse Calendar, by default all those who have a Norse Apps account can see your free/busy information (no details). 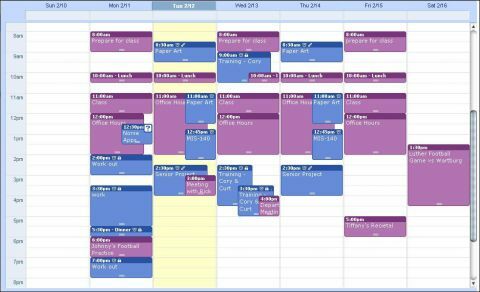 You only need to share your calendar if the individual is not part of the Luther community or you want to provide someone a higher level of access to your calendar. 1. 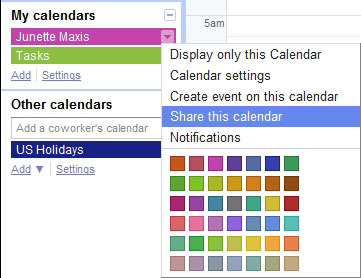 Go to the calendar you want to share, click on the down arrow and select Share this calendar. 2. The following window pops up. 3. Under Share with specific people type the name or email address of the person with whom you want to share your calendar. 5. Click the Add Person button Repeat steps 3, 4, and 5 for as many people as necessary. Go to the calendar, click on the down arrow, and select “Calendar settings”. Copy the URL that displays and send it to you via email. You will then go to your calendar and click on the drop-down menu by Other calendars. Select Add by URL. Copy the URL you received and paste it into the URL box. For people with whom you frequently schedule meetings, you will want to add their calendar to your Norse Calendar. Click inside the box containing the text “Add a coworker’s calendar” under the Other Calendars header. Type in the email address of the person whose calendar you want to add. Click the Add button found on the left side of the screen under the “My calendars” list. Under Calendar Name: type in a name for the calendar. Indicate whether or not you want the calendar to be public. Add the people that you want to view/maintain the calendar and indicate their privileges for that calendar. The Appointments Slots feature on Norse Calendar has been used by many faculty and staff to schedule times with students or co-workers, such as office hours or other appointments. This feature allows you to see more than one schedule at a time so that you can schedule events when you are all available. When you find an acceptable day and time for the event, create the event using one of the methods shown above. Printing your calendar can be helpful to post on your office door or to give your calendar to people who don’t have access to the internet. Change the display to the view you want to print (i.e. Day, Week, Month, Next 4 Days, Agenda). Click the Print link located on the top middle of the page. On the Print Preview select the font size, orientation, and whether it is to be black and white. Click the Print button to send your output to the default printer.